GBI facilitates access to inexpensive housing. Rates may differ by the amenities offered. The required compensation must be paid to the housing provider, and not to Global Bioethics Initiative. Participants are not obliged to stay at the Abloom Hotel and may opt for alternative housing. 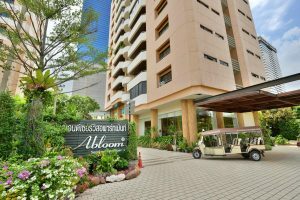 Abloom Hotel is located at 5/36 Phahonyothin Soi 3, Phyathai, Bangkok 10400. The building conveniently serves as the venue for the International Summer School. Click here for the map. Accommodations will be offered from August 4 to August 10. 15 rooms are available; room types include 1 Bedroom Premier and 2 Bedroom Superior. Each night costs 1,750 THB, or roughly $55 USD, which includes breakfast expenses for 1 person. Please click here for photos of the space and here for a video tour. 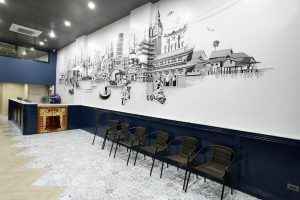 19A Bangkok Hostel is located at 268 Thanon Phahon Yothin Samsen Nai Phaya Thai, Phaya Thai, Bangkok 10400 Bangkok, providing each resident a comfortable space at a reasonable rate. Click here for the map. Information regarding booking and room availability can be found here. For a gallery of the hostel, please click here.